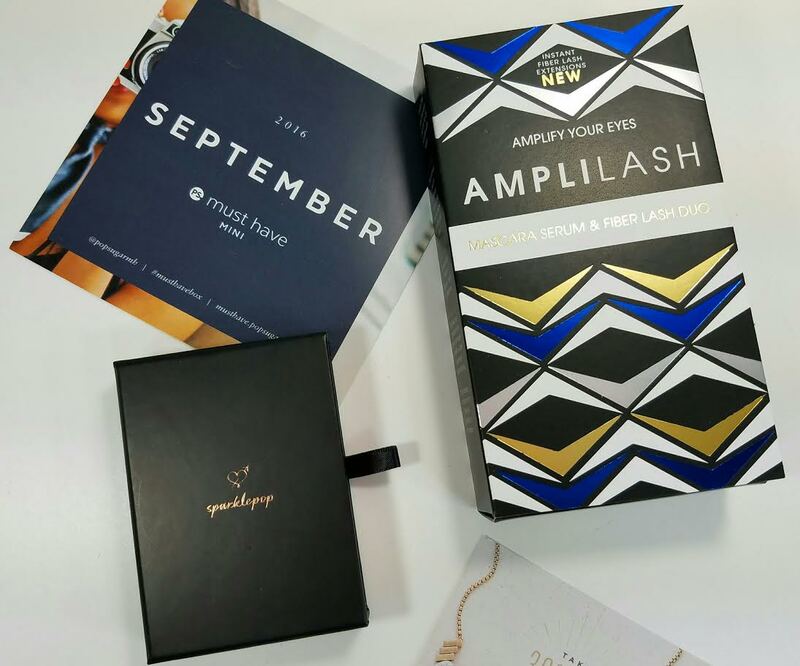 By far, I think this might be one of the most fun Popsugar Mini boxes so far. They've only been doing this since April and my main concern has been the low value compared to the price of the regular Popsugar box. It's a tough sell to get two items worth $30 for $20 when you can get six or seven worth over $100 for $40. This box, however, finally reaches a value point that I can recommend it without guilt. Although, I think I've mainly been steering people away from getting the Mini most of the time. Last month's was good because it had three items. Makeup Eraser AmpliLash Instant Fiber Eyelash Extensions- AmpliLash Instant Fiber Eyelash Mascara Extensions 2-Pc Kit is the only product of its kind made right here in the USA – in the Golden State of California. This ensures a truly professional line that has the highest quality ingredients, pro-level components and superior performance. No parabens. 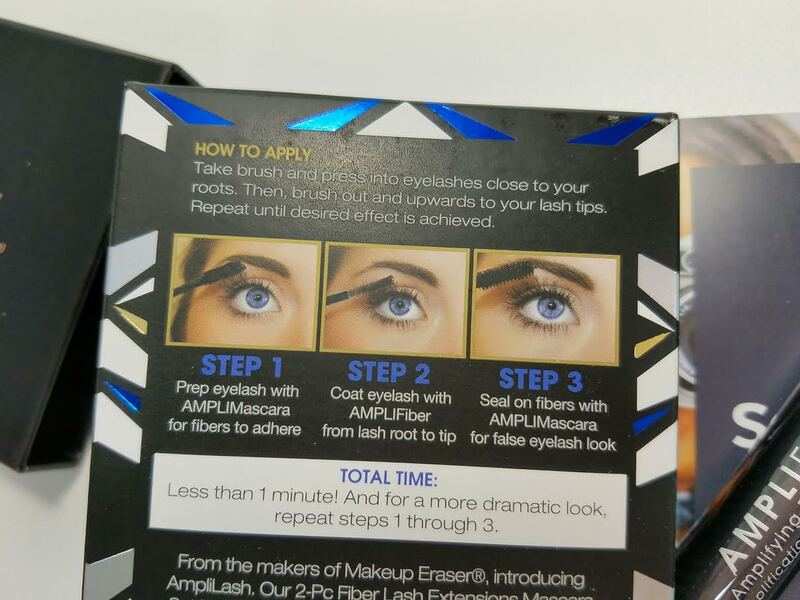 I have never tried a 2 step fiber lash process. 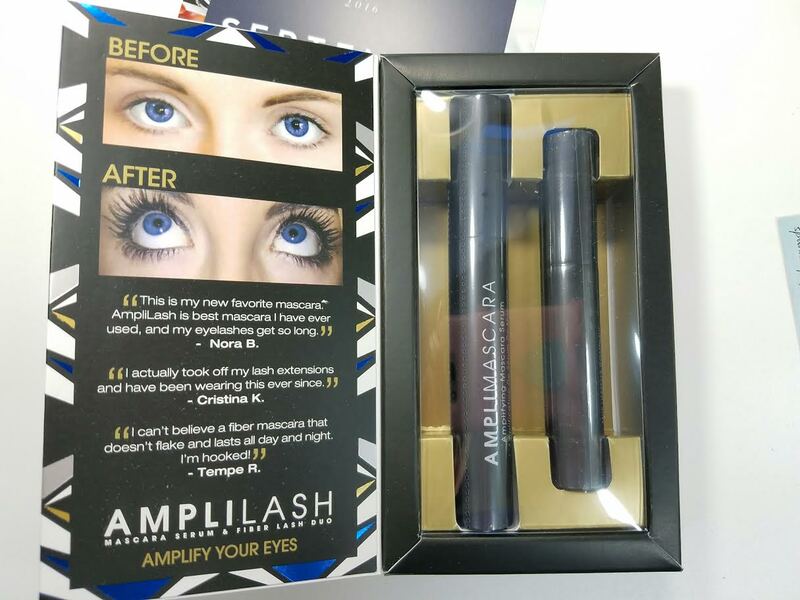 I have tried mascaras that use fibers, though. My personal favorite is the Hope Girl 140 SuperLash. It's my HG and I will not live without it. It's made in Korea and I have a stash of five, just in case something happens. I was totally intrigued by this. I currently have lash extensions that I love and adore but I have to admit they're pricy. I have sparse, medium length lashes and if I'm not wearing mascara (or extensions), you really can't tell I have any at all. I have no bottom lashes to speak of. Seriously, I have like ten bottom lashes. Hah! First apply the mascara, then the fibers. Then... more mascara, of course! I can see the potential for eye irritation with loose fibers floating around. 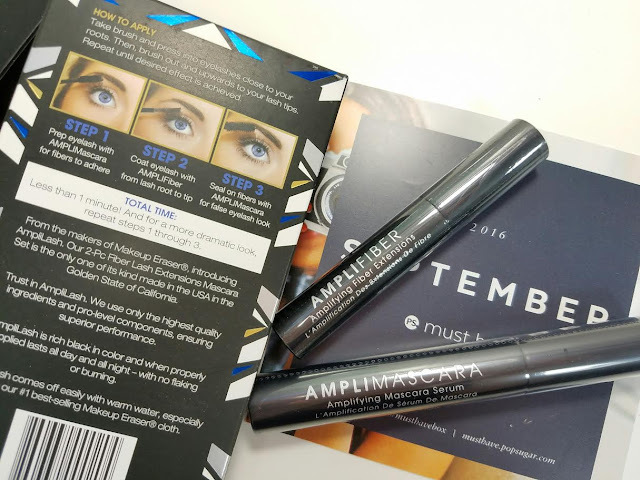 I didn't open the packaging because I didn't want to ruin it before I could use it but I'm interested to know what you think if you've used something like this. 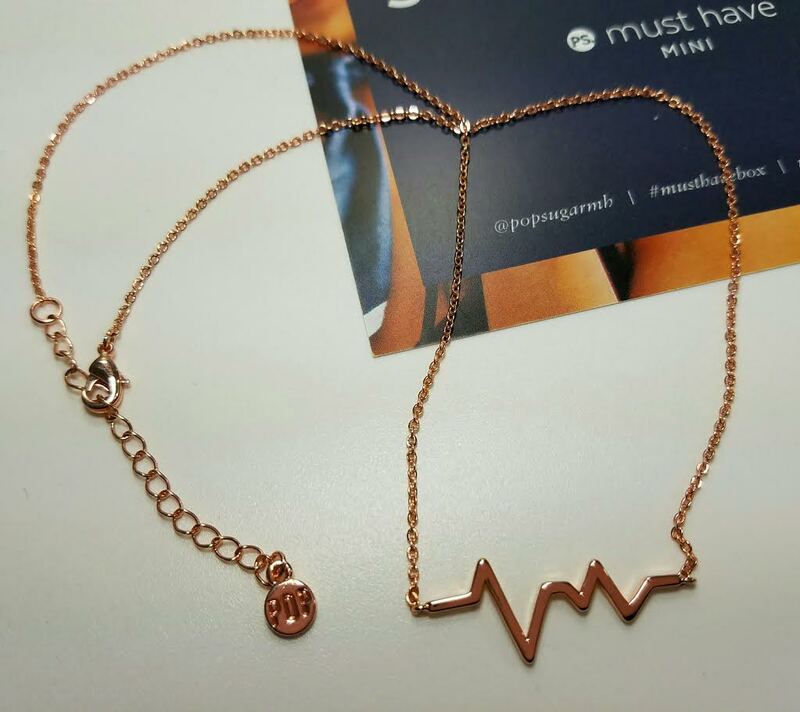 SparklePop Heartbeat Necklace- This is a rose gold tone bar necklace in the shape of a heartbeat on a monitor. I absolutely love the delicate beauty of it. It's gorgeous. It's about 18" length and if you don't have a chance to snag the Mini, you can buy it on their website. It's 18k gold plated. No brass or nickel. I love this. It's so delicate and pretty. Very wearable, I have to admit. I put it on and didn't take it off. Even my husband noticed it and said I should wear it more often. I had to tell him I just got it. haha! VERDICT: Yessss!! Finally a unique, fun and well-valued Mini! I've been anxious for them to up their game in regards to their Mini Must Have box and THIS is what I've been waiting for. Would I buy this box for $20? Yep. Absolutely! Besides the fact that I already did, obviously. As of now, you can still get this box!! Order your Mini HERE before it sells out! 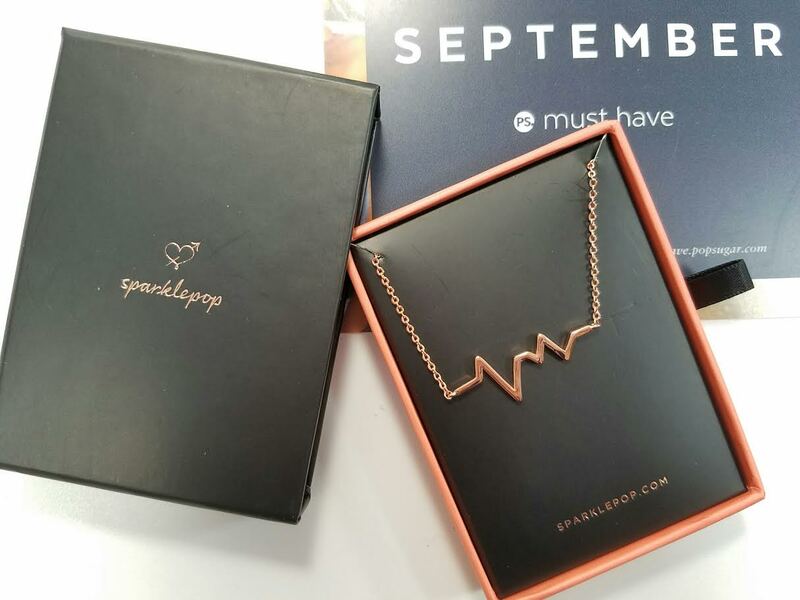 Make sure to check when you sign up that they're still shipping the September box. It says they are right now so you're good but if you're reading this late, check! 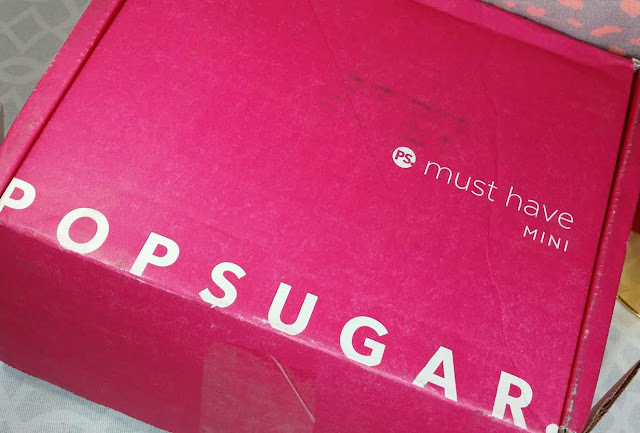 No coupons are available for the Mini but you can use MUSTHAVE5 to get $5 off the regular Popsugar box (which I love and adore and always recommend).